FRESNO, California - The boy who was mauled and killed by two dogs in Fresno on Friday morning has been identified. Around 11 a.m., Fresno Police responded to a report of a dog mauling in the 5900 block of East Kaviland Avenue, and when officers arrived, they performed CPR on the child. He was taken to Community Regional Medical Center where he was pronounced dead, according to Lt. Mark Hudson with Fresno Police Department. 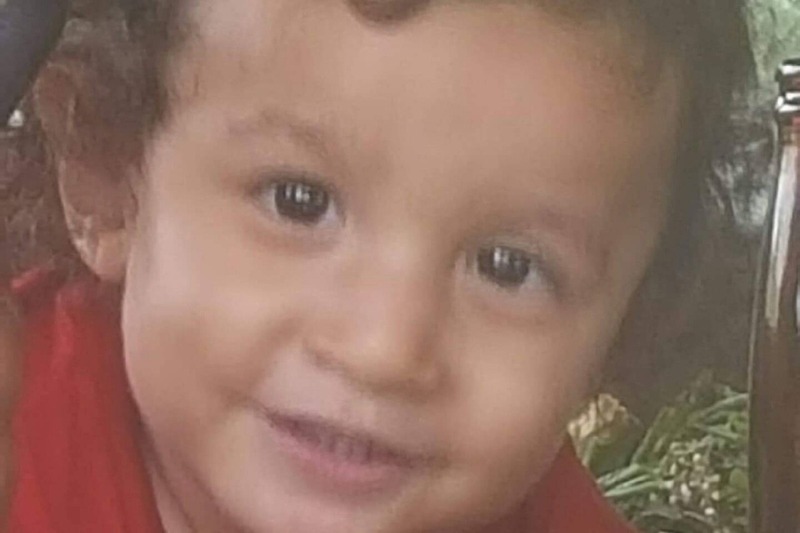 He was identified Monday as Jaysiah Chavez, 2. He says Jaysiah was out front of the home when two Rottweilers without an owner attacked him. His grandma attempted to intervene, and she was bit. The grandpa was able to stop the attack, Hudson said. 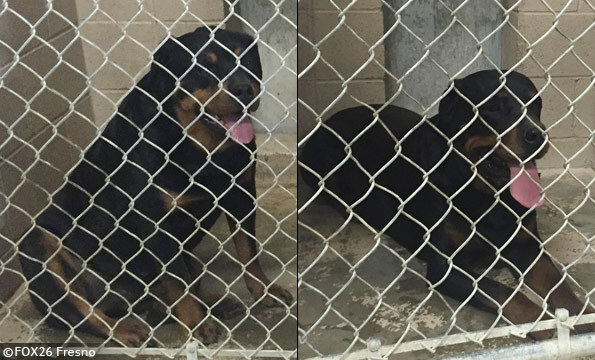 The dogs were found nearby the home and were captured and taken to the Central California SPCA. Around 3 p.m., Walter Salvari with the Central California SPCA says the owner let go of their rights of the dogs, and they were to be euthanized as soon as possible. The owner says the dogs dug out from where they were kept at their home. 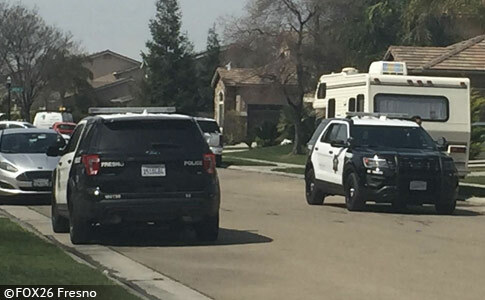 A 1-year-old California boy was mauled to death by two dogs, police officials confirmed. The boy, who was not named, was outside the front of a house in the 5900 block of East Kaviland Avenue on the morning of March 22. TWO ROTTWEILERS attacked the boy and mauled him to death. The boy’s grandma attempted to intervene and was bitten but the boy’s grandpa was ultimately able to stave off the dogs, which were found nearby, captured, and taken to the Central California SPCA. Walter Salvari with the association told KGPE that the dog’s owner gave up their rights of the dogs and the animals were euthanized later on Friday. The owner told officials that the dogs escaped from where they were being kept by digging their way out. Investigators told KFSN that the dogs dug a hole under the fence where they were being kept, ran through a neighbor’s yard, crossed a street, then attacked the boy. Theresa Davis, who lives in a house in front of the house the dog owner lives, said her heart sunk when she saw the pictures of the dogs. “I said, ‘oh my god, this is horrendous, these dogs have been in our neighborhood for eight or nine years,'” she told KFSN, noting that the dogs have a history of digging holes under the fence and escaping. “Just primarily on the back fence, they’ve come out the side gate of their property, and recently discovered that hole a couple of days ago,” she added. “Just thinking about the little boy, the baby losing its life… it’s a tragedy. Anybody with a heart would get teary at least,” added Arcelia Ruiz, another neighbor. “I feel bad about that because if their owners would be responsible and always look at them, because I feel like animals are like children,” Eva Granados, another neighbor, told KGPE. A legal analyst said that dog owners have a responsibility to keep their dogs from getting out. “Had the dogs gotten out but the child not been out there unsupervised the child might not have been attacked and it doesn’t make the culpability of the dog owner as great,” said David Mugridge, the analyst. Considering the attack was fatal, charges against the owner could go up to involuntary manslaughter and if convicted the owner could face prison time and a $10,000 fine. Police officials said no charges have been filed as of yet. In a 13-year analysis, the website says that of 433 fatal dog attacks in the United States, pit bulls contributed to 66 percent, or 284 deaths. Rottweilers, the second on the list, inflicted 10 percent of attacks that resulted in human death, the report says. German shepherds accounted for 4.6 percent of fatal attacks. Mixed-breed dogs accounted for 3.9 percent and the American bulldog was next at 3.5 percent, the report said. The Mastiff and Bullmastiff accounted for 3.2 percent of deaths. Last on the list were huskies, which accounted for 3 percent of fatal attacks. The report compiled fatal dog attacks between 2005 and 2017, showing that 48 percent of the victims were children aged 9 or younger. 1) 1-9 - Dianne Reves - 70 - Grenada County MS - A total of 7 dogs were taken into custody - The Sheriff's Department reported she suffered about several hundred dog bites - Facebook posts from a neighbor shows the dogs were GERMAN SHEPHERD/BLUE TICK HOUND MIX. 3) 2-7 - Ashton McGhee - 1 - Guthrie KY - The 1-year-old baby boy lived in Hopkinsville KY and was visiting his grandparents' home when one of the family dogs came in from outside and attacked him - The Chief of Police said the PIT BULL MIX may have been spooked by a thunderstorm and then spooked again by the ball the child was playing with - "IT'S AN UNFORTUNATE FREAK ACCIDENT". 4) 2-8 - Elaine Richman - Houston TX - She owned two DOBERMAN PINSCHERS that she trained as show dogs - She was found dead in her backyard with bite marks over her face and body. 5) 2-15 - Angela Johnson - 54 - Anza Riverside County CA - On Dec 15, 2018, she was hanging out clothes on a line in her yard when a neighbor's 3 pit bulls mauled her - A main artery was bitten into on her neck and she suffered a severe stroke - She remained in a coma and died on Feb 9, 2019. 6) 2-21 - Nancy Burgess-Dismuke - 52 - Greenville SC - She was playing in her yard with 2 of her dogs said to be BOXER MIXES - Neighbors heard her screaming and at first thought they were just playing, then realized they were mauling her - several men came running and hit the dogs with various things but the tiny woman had lost so much blood from her upper extremities ... "one arm was hanging and the other was bitten off!!!" 7) 2-26 - Bessie Jill Peterson - 88 - Pall Mall Pickett County TN - She was airlifted to Vanderbilt Medical Center after being mauled around 5pm by a neighbor's dogs - 6 GERMAN SHEPHERDS - Her sister, who was in the home with her, says that she went outside to check on a drainage ditch and the flooding in her yard when the dogs attacked - She tried to help her sister but the dogs chased her back in. 8) 2-27 - Johnnie Mae Garner - 88 - Lubbock TX - Family members believe that the neighbor's dogs were trying to get to her dog in her backyard and she was trying to scare them away when they mauled her. 9) 3 -5 - Jacari Long - 6 Months -Salisbury NC - The child's babysitter had gone outside to the car to clean off a seat for the baby boy when she heard her mother scream and ran inside to fine her ?PIT BULL/BOXER MIX? mauling him - He was taken to a local hospital then airlifted to Winston Salem where he was pronounced dead. 10) 3-8 - 2-Year-Old Boy - High Springs Alachua Co FL - While in the care of his grandmother who was who was letting out large dogs at his aunt's house - 2 of the dogs mauled the boy - He was pronounced dead at the scene and the grandmother was injured trying to save him - 6 dogs were taken from the home - They were adopted dogs from Rescues and appear to be Boxer/Pit mix, and various mixed breeds and a large Dogo Argentino - The 2 dogs that killed the baby were an American Staffordshire Terrier (Pit Bull) and an American Bulldog. 11) 3-13 - Jimmy Lee Grigg - 53 - Galveston County TX - The Sheriff said he was fatally mauled by 3 dogs owned by a relative on the Grigg's property and he said the dogs were MIXED BREED INCLUDING ONE HEELER/MASTIFF MIX - Cause of death was from blood loss - His brother was the one that called 911 for help - A neighbor reported that she had called animal control several times because it sounded like dogs fighting on the property. 12) 3-22 - Jaysiah Chavez - 2 - Fresno CA - Apparently the child was in the care of his grandparents when he went into the front yard - Other children ran in to tell the grandmother that dogs had the child - She tried to get the 2 Rottweilers away and save him, as did the grandpa, but he died from the injuries. 2-15-19 - Brenda Hamilton - 77 - Pantego Beaufort County NC - She was attacked around 6am on Friday morning on Indian Run Road - Canine DNA was found on her - Investigators are collecting DNA from "canines" in the area to find which animal horribly and fatally mauled her. The owner is completely responsible for this child's death. When the neighbors report that the dogs had dug out before, the owner knew the dogs were doing this. There is no reason to leave dangerous dogs outside unattended. If the dogs are not living in the house with the owners like normal dogs, then put them in an actual kennel that they cannot get out of. This is another disgusting example of a needless death by a known dangerous dog breed. Number 2 on the list of lethal dog breeds.